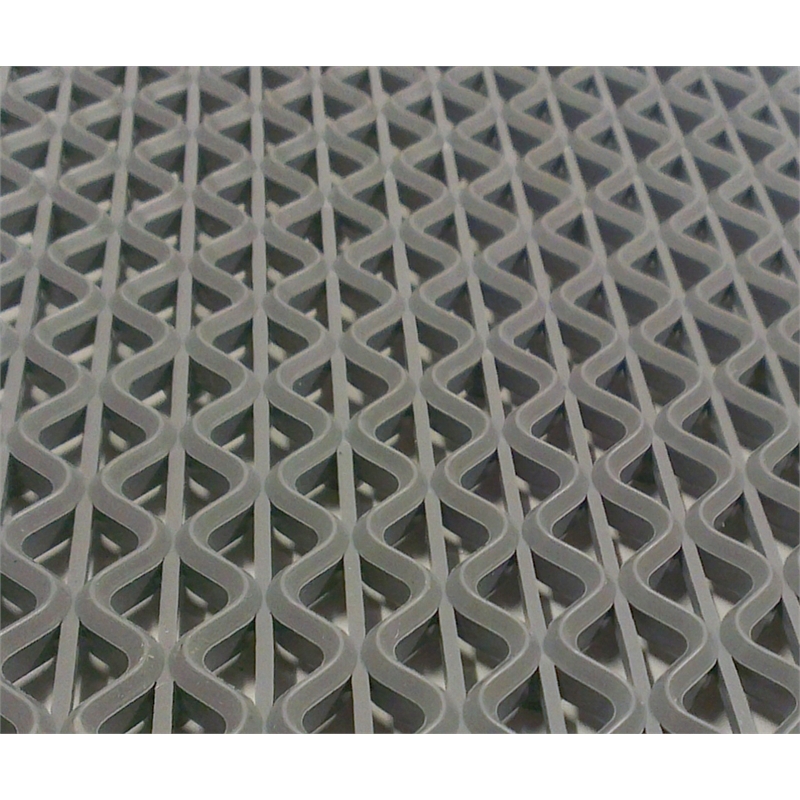 Z-Rib Grey PVC matting is UV Stabilized making it suitable for both indoor and outdoor applications. 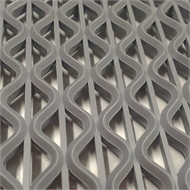 The wave patterned ribs act as scrapers to remove heavy dirt, sand and soil from shoe soles and additionally provide a good general antislip surface. 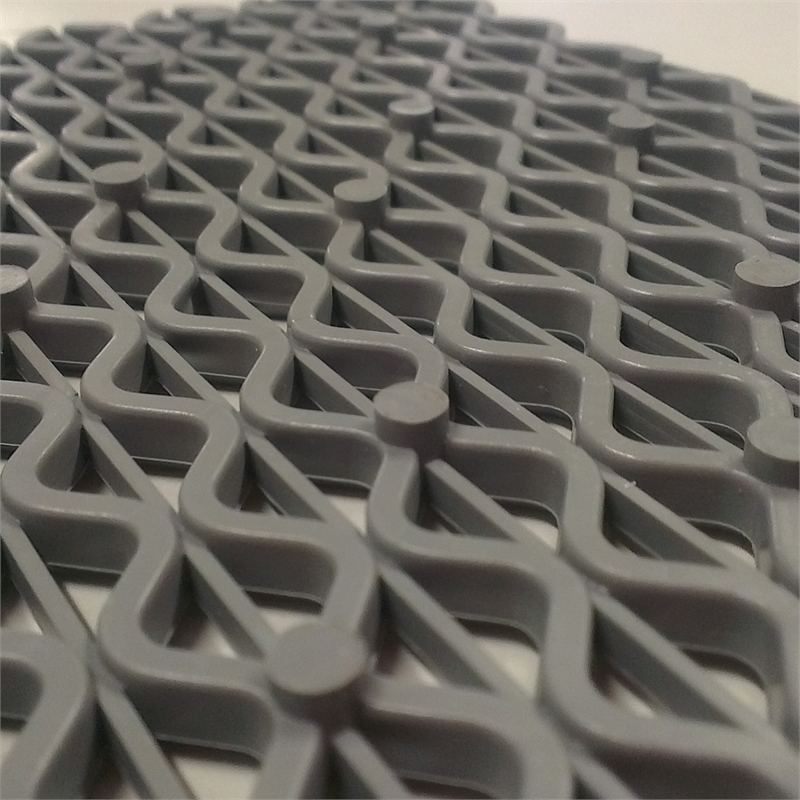 The open surface construction allows dirt, sand and water to pass through the matting and the underside 2mm +/- Stud Feet enable water to drain away from underneath. 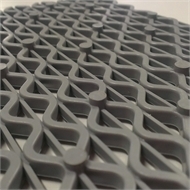 As it is 9mm +/- in total thickness the raised matting Z-Rib reduces the fatiguing effects of standing on a hard, cold subfloor. 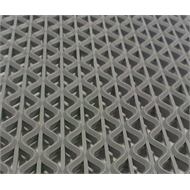 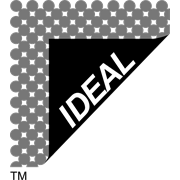 Suitable for entrance and workshop matting, plus camping / caravan / boat matting.